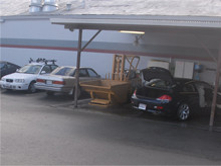 When you choose Gulick's Auto Body... your peace-of-mind, your convenience, and your satisfaction becomes our priority. 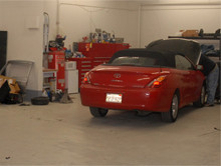 Gulick’s is a full-service auto body shop. We take care of every detail including rental car setups, easy pick up, and delivery. Once your insurance claims have been filed, we’ll take it from there. At Gulick’s our technicians are certified in both frame and aluminum repair, and only work with the highest quality “Chief” measuring system. 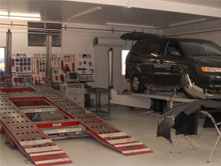 We perform health scans before and after your car is repaired as well as rotations and alignments so that you can pick up your car in ready-to-drive, pre-accident condition. Our top of the line paint facilities are clean and professional paint booths. Our certified paint technicians work with Spies Hecker Waterborne Paint color matching and have over 20 years experience. 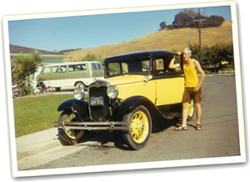 Every vehicle is polished after each paint job and inspected before returned to you. Gulick’s works with an expert onsite mobile glass company, fully warranted by our company. They use only the highest quality glass that is always a perfect fit. We not only trust it for our clients, we use them on our personal cars. Aside from being I-CAR and ASE certified, all of the Gulick technicians attend regular seminars and classes to keep up with the latest technologies and industry methods. Their combined knowledge and experience earned the I-CAR "Gold Class Standard," which is only awarded to shops where the knowledge level is above the industry average. Constant attention to detail is stressed throughout every job. And, even with this high standard of perfectionism, Gulick's has one of the best "cycle times" in the business. (That's just industry talk, bragging about our speed in getting you back on the road in your own perfectly repaired vehicle.) "Getting it right the first time" is just one more way we earn and keep our customer's loyalty. The entire shop is focused on the true definition of customer care. 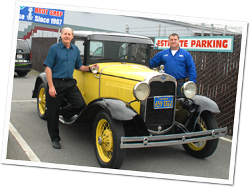 Our techs have been with us between eight and twenty five years. That consistency keeps us strong and our customers confident. 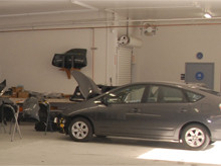 Equipment and facilities we use to repair your vehicle to pre-accident condition. Address: 343 Petaluma Blvd. N.
© 2016 Gulick's Auto Body. All Rights Reserved.